Hubby and I believes that in order to instill discipline in a child, we should introduce them to sports. When both of us were hooked into running, we opted the kids to join us. 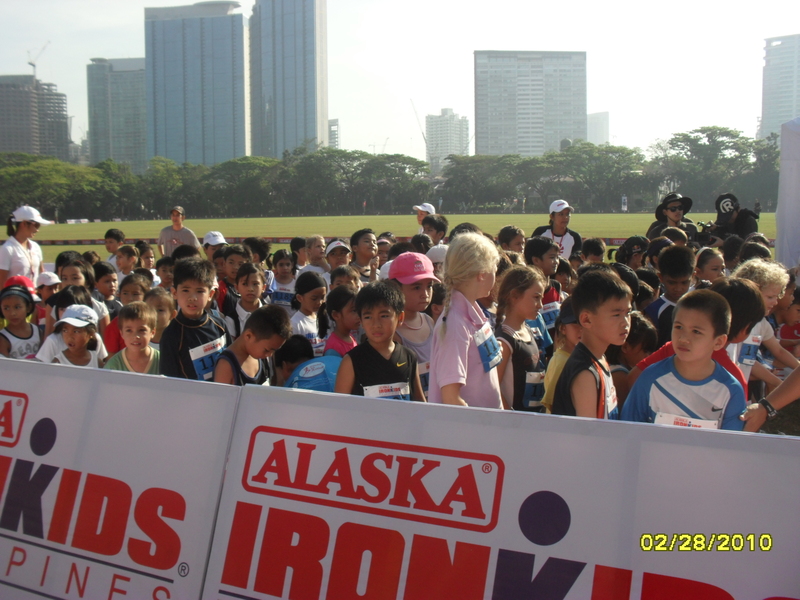 And Alaska Ironkids was the race that made my kids love the sports of running. 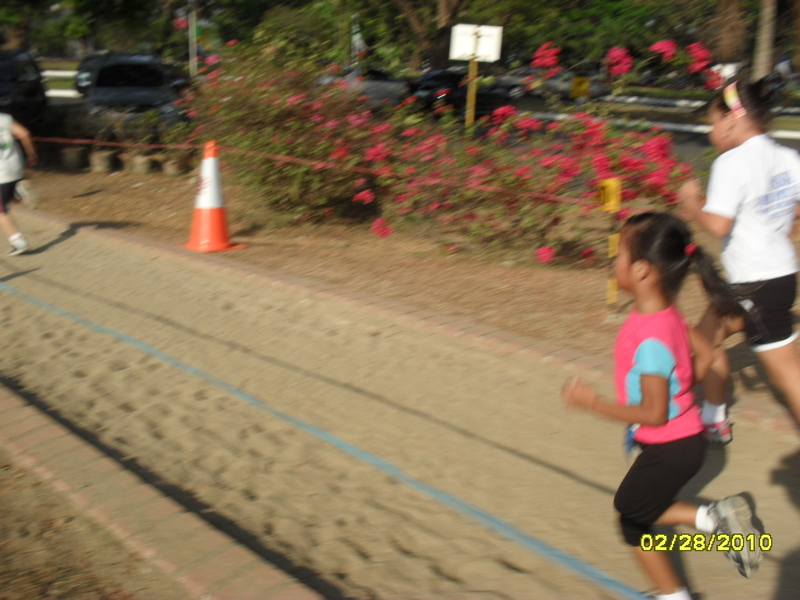 It was 2010 when Rebeccah joined her very first 1K run. It was also because of this race that my kids even tried and joined triathlons, we as a parents should support our kids for them to build confidence and have a discipline in life that will be of use to them. 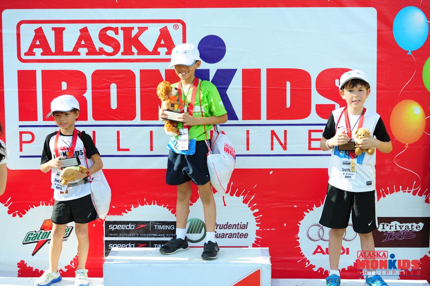 This August, all eyes will be on Cebu Province as it hosts this year’s much-anticipated sporting event for kids— Alaska IronKids Triathlon. 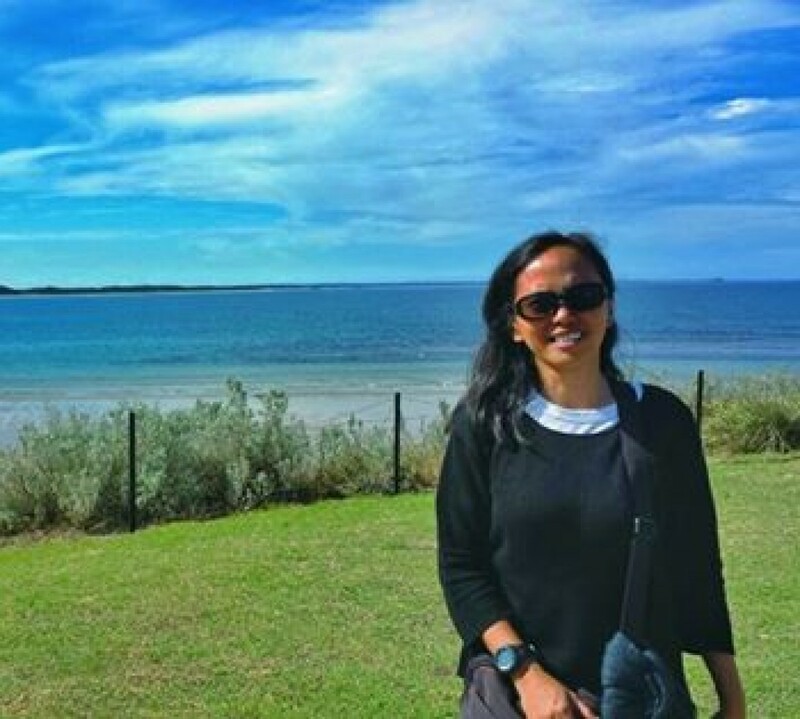 More than a hundred triathletes, 6 to 14 years old, are expected to show up at the starting lines at the Shangri-La Mactan Resort on August 5, hopefully surpassing the record number of 95 participants set last year at the CamSur Watersports Complex (CWC) in Pili, Camarines Sur. 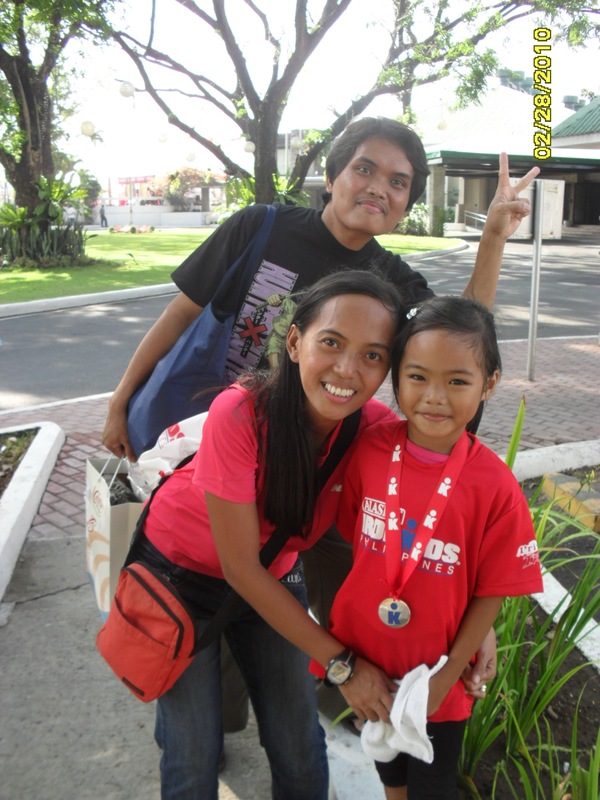 With their parents and family in tow to cheer for them, the event promises to be a family affair to remember. 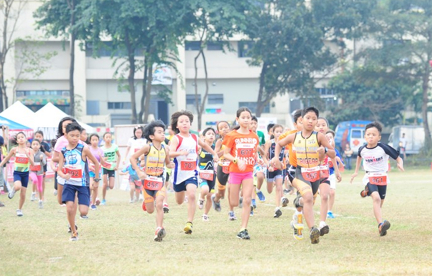 Expected to defend their titles are frontrunners and early race favorites Tara Borlain and Eric Almendral, last year’s winners in the 6-8 y/o cataegory; Sophia Marie Vizcarra and Lance Vincent Plaza, winners of the 11-12 y/o category; and Magali Echauz and Justine Kyle Mapalo, winners of the 13-14 y/o category. Those interested can still join. 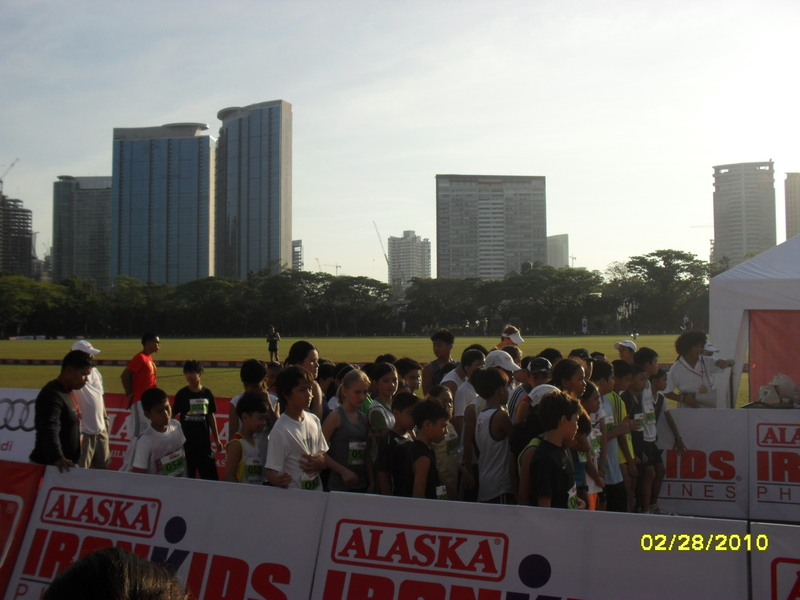 Just log on to http://www.ironkidsphil.com. Registration is ongoing. 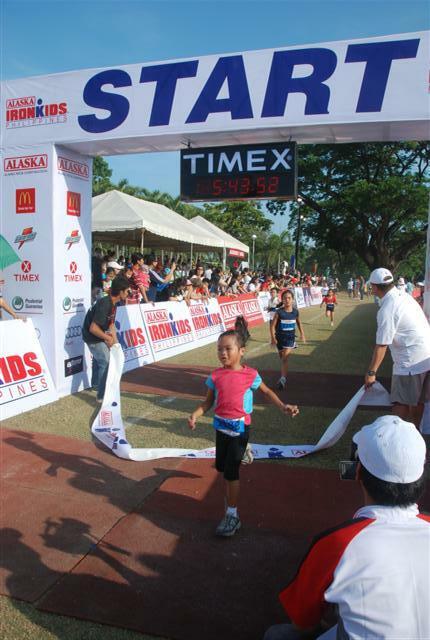 A year-long sporting event, Alaska IronKids has so far completed three legs this year — two marathons, held at University of Makati and Mall of Asia and an aquathlon, held at the Palms Country Club. 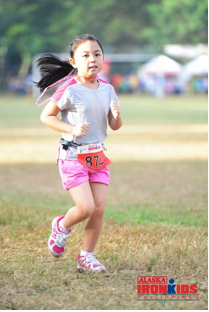 Another triathlon is scheduled on October 23 at Pico de Loro, Batangas).Since its inception in 2010, Alaska IronKids has become a symbol for active and healthy lifestyle among kids. 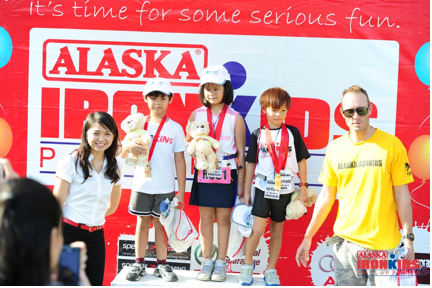 Its successful races have encouraged kids to take care of their bodies through exercise and proper nutrition and have instilled in them commitment and discipline, all of which are advocacies of the Alaska Milk Corporation. In addition, Alaska IronKids has also become a venue where families can bond and support each other. When we dedicated our children to the Lord, we have embraced this verse from the Bible with our heart. We promised and prayed that the Lord guide us and help me and Erick as we nurture the life that God has entrusted us. Being a parent is a gift from heaven that we must be proud of, not everybody has given the opportunity to be one. We have been blessed to have wonderful twins, Rebeccah and Rachelle. 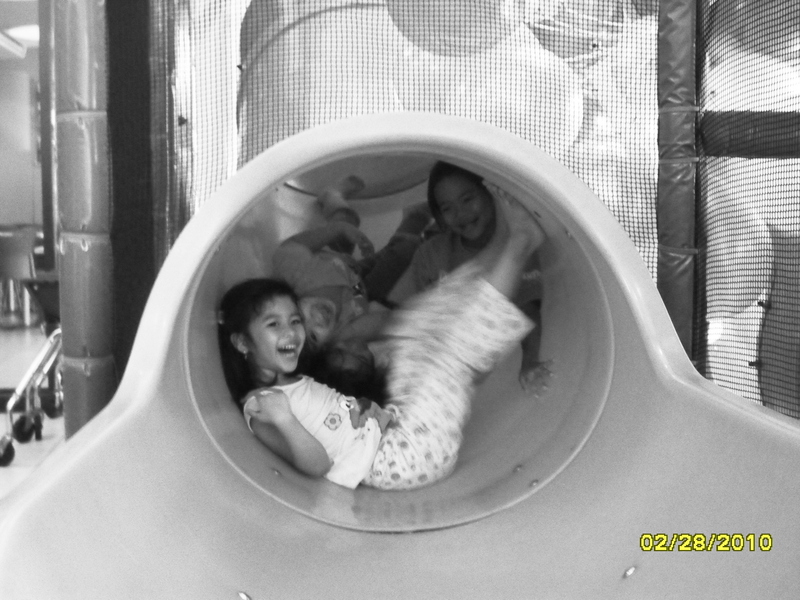 It’s every parents obligation to give their children adequate standard of living, nutrition, and play. They must never be neglected or abused. That is why last Sunday, we gave our children the right to play by registering Rebeccah at the Alaska Ironkids run. Rachelle was not feeling well so we opted not to register her. Prior to the race day, Rebeccah had been all excited about it, asking me what shall she wear, should she be training and will she be having her own carbo-loading? I think it had registered in her mind things that Erick and I usually prepare before a race day. She also went to sleep earlier that she used to. Rebeccah woke up early, she ate cereal and had a nice warm bath. 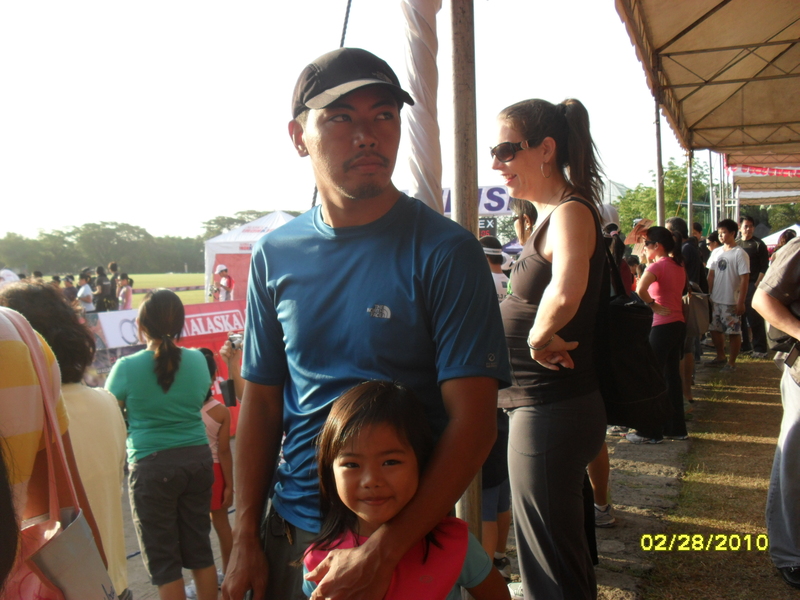 At 6:30AM we left the house for Manila Polo Club, we wanted to see the children under the other age categories. The race was a success, there were a lot of participants. The 6 to 8 years old category was called the main event, the race of the millennium, it was exciting to see the little boy and girls attentively listening as their race briefing was held and how they inch their way to the starting line. My pretty baby was under this category, the parents were asked to leave the cordoned area, and most of us parents were proud of our kids that none of them cried and asked for their mommy or daddy. Rebeccah finished her first official 1K Alaska IronKids run at 5minutes 43seconds, making her 7th overall in the female category. 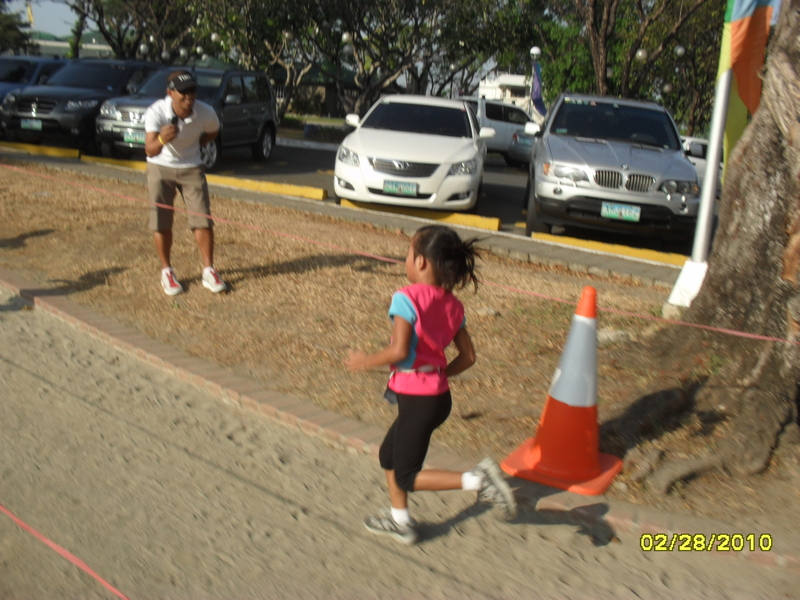 Not bad for her first race, thanks to her daddy/coach. 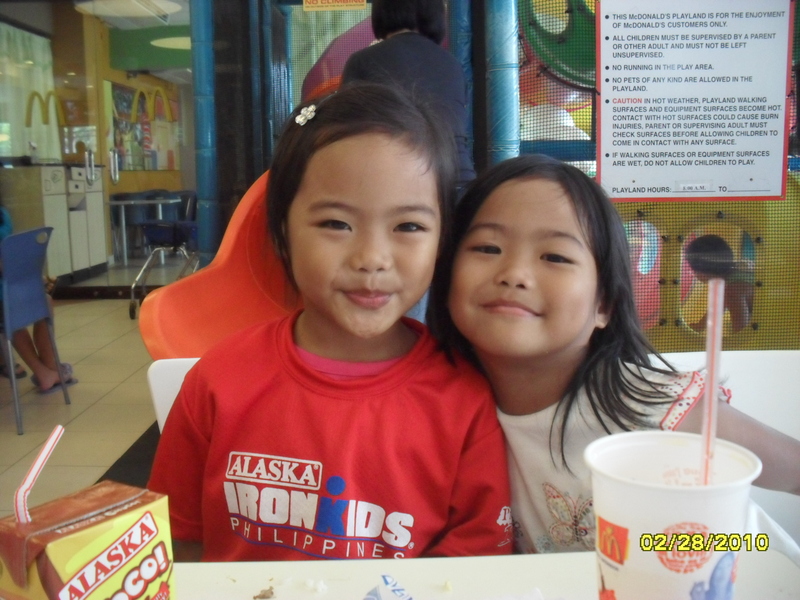 After the race we treated our children to their favorite breakfast meal at Mcdo, what a way to start a day.